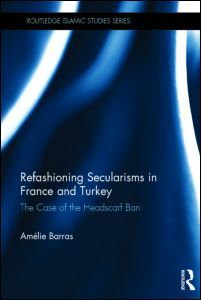 Amélie Barras, Refashioning Secularisms in France and Turkey: The Case of the Headscarf Ban (Routledge, 2014). 182 p. Hardcover $145.00. In Refashioning Secularisms in France and Turkey: The Case of the Headscarf Ban, Amélie Barras explores the struggle between the codified state concepts of secularism in France and Turkey and the Muslim activists who try to navigate and reform them. Moving beyond the idea of a simple separation of church and state, Barras thoroughly explores the French concept of laïcité and the Turkish concept of laiklik detailing both countries’ historical practices of heavy state involvement in religious affairs, especially those of minorities. Through the particular example of the headscarf ban, Barras traces the discourse surrounding secularism in France and Turkey and highlights how it impacts and often marginalizes observant Muslim women. Barras skillfully illustrates her arguments with fascinating examples taken from real life. Her description of the spillover effect of headscarf bans in Turkey was particularly enlightening. Noting that the headscarf ban in Turkey has officially only been applied to students and government workers, Barras, describes the real-world consequences of the ban. White-collar women working for private firms are relegated to inferior back office jobs with lower pay and less job security under the rationale that they cannot interact with government officials in government settings while wearing their headscarves. That is if a firm will hire them at all. Barras’ argues that the state’s assignment of an inflexible, one-dimensional identity to these women bars them from full citizenship. This thorough, well-written book is a fascinating read, especially for the American reader who will bring a very different conception of religious freedom and the separation of church of state to the material. It is highly recommended for all academic libraries as well as organizations with interests in countries where headscarf bans exist. Reem A. Meshal. Sharia and the Making of the Modern Egyptian: Islamic Law and Custom in the Courts of Ottoman Cairo. (The American University in Cairo Press, 2014). 290 p. Hardbound, $75.00. Before the Ottomans, the concept of “court” was embodied in the person of a judge and held in any number of venues. Under the Ottomans, courts became fixed locations and, for the first time, legal documents became mass-produced and centralized. Judges were required to turn over their sijills to a professional archivist, who linked the documents to the court and the public archive. The rise of bureaucrats like professional archivists, notaries, and court experts meant that the authority of the written document would come to outweigh that of oral testimony. The author’s focus on sixteenth- and seventeenth-century Cairo matters because of the heterogeneous nature of the city’s population during a time when the state sought to harmonize state law with sharia. Meshal’s book discusses custom, state law, and Islamic jurisprudence without falling back on the Western binary of religious-versus-secular. She admits Western influence on the Empire but concludes that important developments were established prior to this influence. 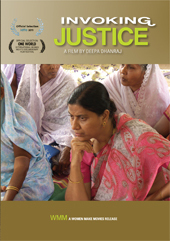 The author builds her arguments from sijills and other primary sources, as well from a variety of secondary sources. Chapters are organized by topic, with topic subdivisions including a concise chapter conclusion. This is a well-researched book and I recommend it for academic law libraries, particularly those that serve Sharia or Ottoman scholars.